This week on Saturday Sepia I am going to go along with the sports theme. By coincidence I had an email yesterday that talked about the Ellis family of Elstead in Surrey and several other associated names. This morning whilst in the bathroom I recalled the first photograph I am going share here, as I thought I would share the photograph with the person who emailed me yesterday, then I spotted the theme for this week. Some things happen, by coincidence, but does it exist or is it destiny? What a deep question and all before lunch! 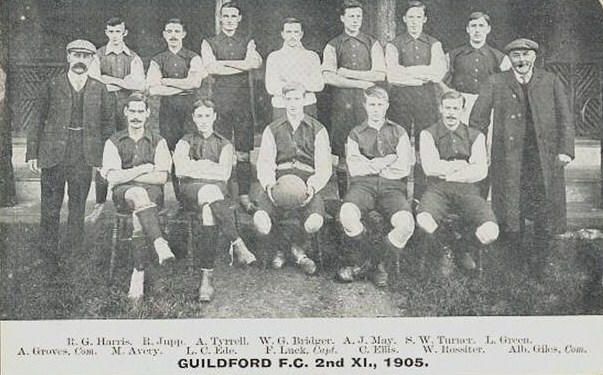 Standing Row – Herbert ELLIS, u/k, u/k, William BIAS, George WARNER, Alfred NOVELL, Guy BOVINGTON, Sandy TILSON, u/k, Henry ELLIS, Lewis NOVELL, u/k. 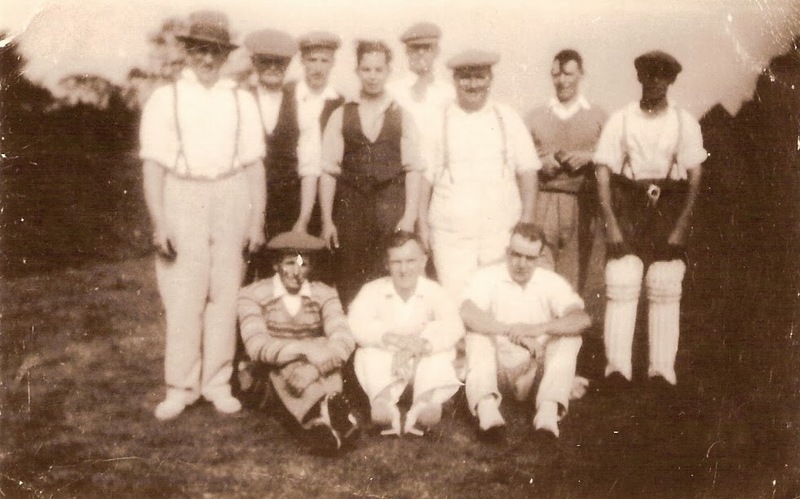 Sadly no one from this photograph of a Wanborough cricket team can be identified – I date this about 1930. This entry was posted in Uncategorized and tagged Ellis, Guildford, http://schemas.google.com/blogger/2008/kind#post, sepia Saturday, Wanborough. Bookmark the permalink. 14 Responses to Sepia Saturday 205 – They are Good Sports in Surrey! I do like the folded arms. Makes them look so serious about it all. There are the butcher, baker etc etc…and nobody was getting paid to play sports I'll bet. Just for the joy of competition, eh? I always thought sportsmen folded their arms to make their upper arm muscles look bigger! Yes, what is it with those folded arms, anyway? But such a good group of guys here! That cricket team is a gem; those caps and the man in pads with his braces. I love these to. The catching of the average Jo and these pictures are true “village life” although Guildford is a major town. I agree with you Mike and more so because some of the men in this 1911 photo joined the military during the First World War and some never made it home. I have supported Kiva for several years and am part of the Genealogist for Families Team. I made a loan last week and will do another in memory of my late Grandmother's birthday just before Christmas. Yes it was great timing. 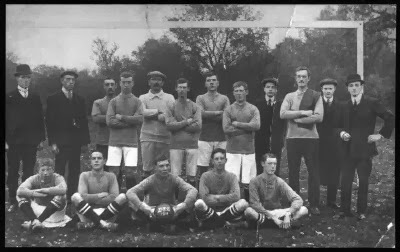 These local amateur clubs that predate the modern professional sports era, seem more genuine and a better place for the stories of real athletic heroes. I noticed that you have a Kiva.org link as I have a promo for them on my blog too. I've been a supporter for several years and hope it introduces people to their great micro-lending work. I much prefer local sports team with the butcher, the baker and the candlestick maker to the high profile professional teams. I love the above groups. How neat to have so many names to go with the players – except for that last photo. Too bad someone forgot to write them down. Go team!